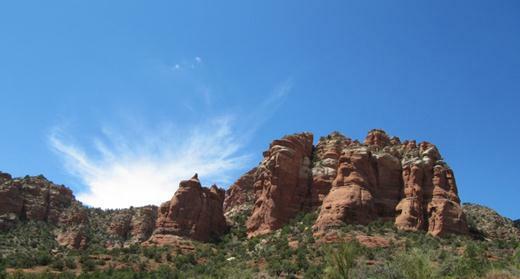 We continued south past Sedona following the Heartland of Arizona tour from our Eyewitness Travel Southwest book. The amazing views continued as we drove. 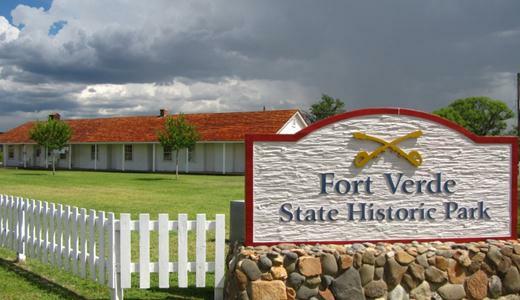 …as was the Fort Verde State Historic Park in Camp Verde, AZ….the home of the U.S. cavalry you see in westerns. Although the monsoon like storm that went through the town was amazing to see as well. Our first rain storm in 6 months! No really…we haven’t felt real rain in months…this is one of the big positives of the southwest. 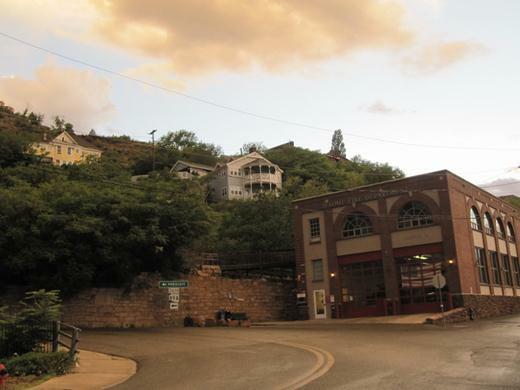 …and the hillside community of Jerome – a cool mining town hanging on the side of a mountain. 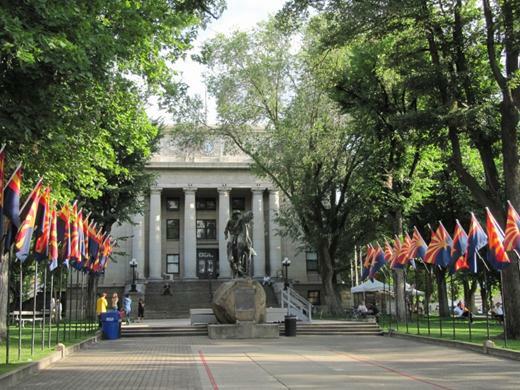 The next day we headed north of Flagstaff and took scenic Highway 89 to check out three separate National Monuments. 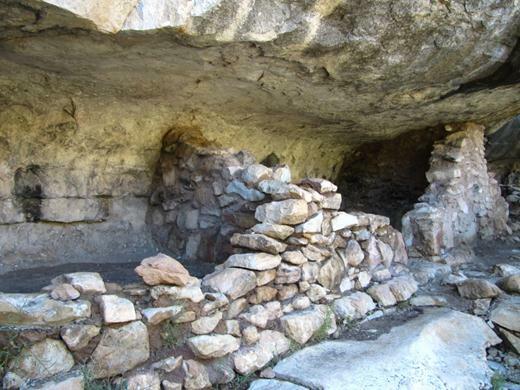 Walnut Canyon National Monument was the first. In this picture Jason starts the main walking tour after descending 250+ steps. 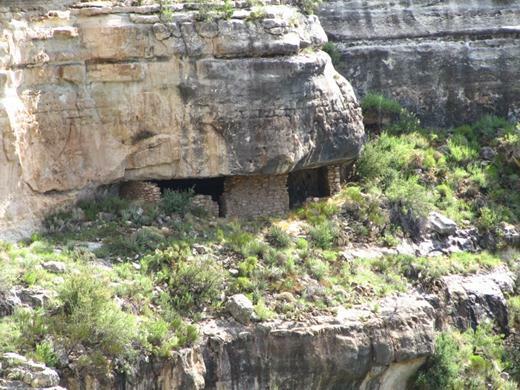 The canyon has numerous cliff dwellings constructed more than 800 years ago. Black smoke stains – from cooking and heating fires – are still visible today. 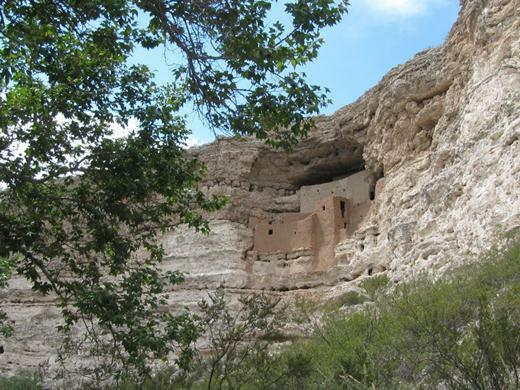 On our trip we saw other ancient cliff dwellings but this Monument was the only one to allow us to walk right up to them. 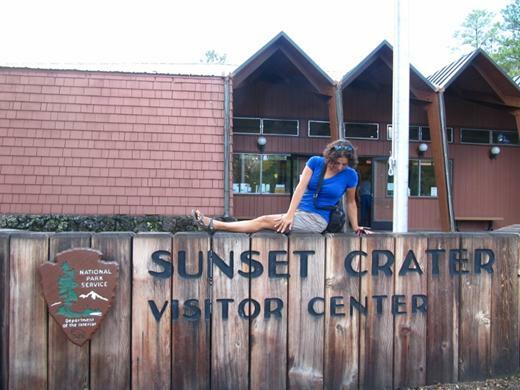 Sunset Crater National Monument was our next stop. Above is Marianna’s sad attempt to balance atop the sign. We were surprised to find out that there isn’t just one volcano crater in the area but hundreds. 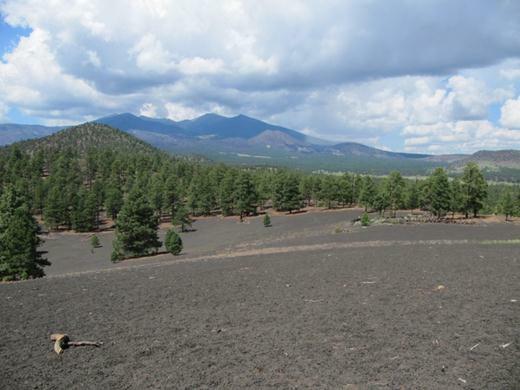 The San Francisco Peaks right in Flagstaff are the largest. In the picture above we venture up 300 feet up to the edge of Lennox Crater. The entire mountain is made of ash and black lava rock pebbles. Lennox Crater is a cinder cone volcano that looks more like a depression than a crater. It’s amazing nevertheless. Even though this volcano erupted thousands of years ago, these sparse trees are the only growth. The rest of the ground is covered by light weight black basalt pebbles and rocks. 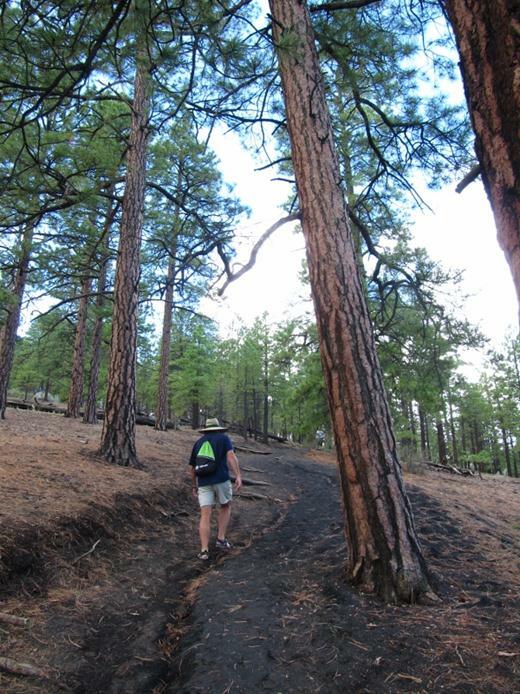 We also took in the Lava Flow Trail just beneath Sunset Crater. 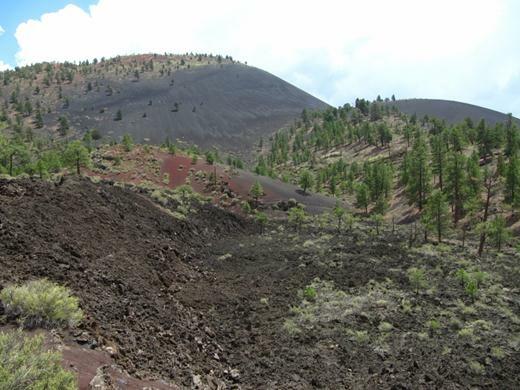 It’s estimated that the flow was up to 100 feet (30 m) thick on this side of the volcanic cinder cone. Wupatki National Monument was our last stop. 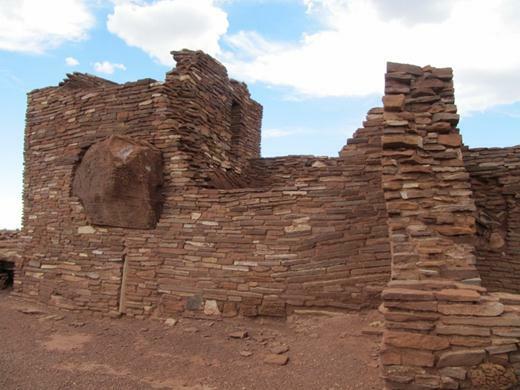 This 800 year old pueblo has 100 rooms! Of course no trip to Arizona is complete without a visit to the Grand Canyon…so, next up…Grand Canyon! Nice pictures. That area is so beautiful. 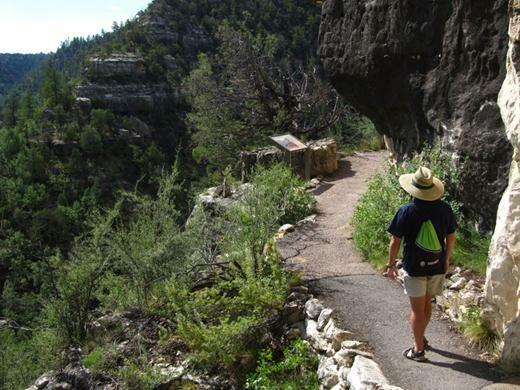 We visited Walnut Canyon, Sunset Crater and Wapatki National Monument, while on a trip in 2000 to visit the Grand Canyon, Las Vegas, etc. Your photos are great!!! !